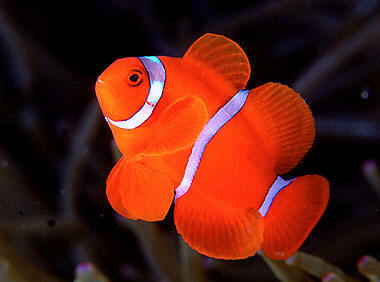 The maroon clownfish is distinguished from the Amphiprion genus by the spine on its operculum. It is quite aggressive, towards both its own species and Amphiprions. Size: 13-15 cm.